Viewing topic "“Spare Room Concert Series 3”"
It has been awhile since I frequented this forum (a number of years), but hopefully things should still be well here. This clip is an idea I had that was inspired by NPC’s “Tiny Desk Concert Series” on YouTube. It is a multi-camera, “mini concert” of some piano-ish performances by myself in a small space. I have produced other videos in the past, but this is probably my best effort. Comments welcome, but above all I hope you enjoy it. 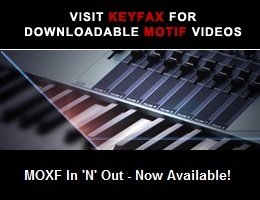 Motif XS7 with KSounds’ “Signature Piano” voice bank loaded. Audio recorded on a Zoom H6 recorder, and video’d on multiple Sony camcorders.